When it comes to football, there are times in which you realize how cold the business actually is. For Cowboys Nation, the last couple of seasons have been enough proof of that. Just a year ago, Tony Romo retired from the NFL, leaving many fans completely heartbroken. Romo was leaving a team he loved and a fan base that loved him since the franchise was now in hands of the talented and promising young quarterback, Dak Prescott. Funny how things work out. Starting Dak Prescott was one of the toughest choices this front office has faced in the last few years. They made that call with the team's best interest moving forward. So that an offense that counted with Ezekiel Elliott, Cole Beasley, Terrance Williams, Jason Witten and Dez Bryant had the best situation going forward. Now, Dez is not on the team. You see, as fans we can argue as much as we want about whether he had it coming or not. We can argue about his production in recent years, about his attitude or about anything else. But Dez Bryant was not your average football player. The NFL lifecycle: Players come & go. Occasionally, one of those players finds a special place in our heart. @DezBryant was one of those guys. I've had the great fortune of enjoying the careers of two 88's. And the great misfortune of seeing how their time in Dallas ended. Bryant was always a fan favorite. His passion for the game was unlike any other, and his love for the fans was always there. Dez, at the end of the day, had some rough years. But we all remember how dominant he once was. Dez catches it at the seven yard line, shakes off a defender and when the second guy is ready to take him down, Dez simply carries him and stretches his arm to cross the plane and get six. The drive, the physicality and the burning desire to get to the end zone made Dez Bryant a special player for the fans. Dez was a guy who drew media attention very often. The cameras would always be on him yelling in the sidelines and being portrayed as a diva who just wanted the ball and was mad because he wasn't getting it. Then you heard what he actually said and it was nothing but him trying to pump up the offense. Part of what made him so loved was the impressive chemistry he always had with another beloved Cowboy whose career in Dallas came to an unfortunate end as well, Tony Romo. 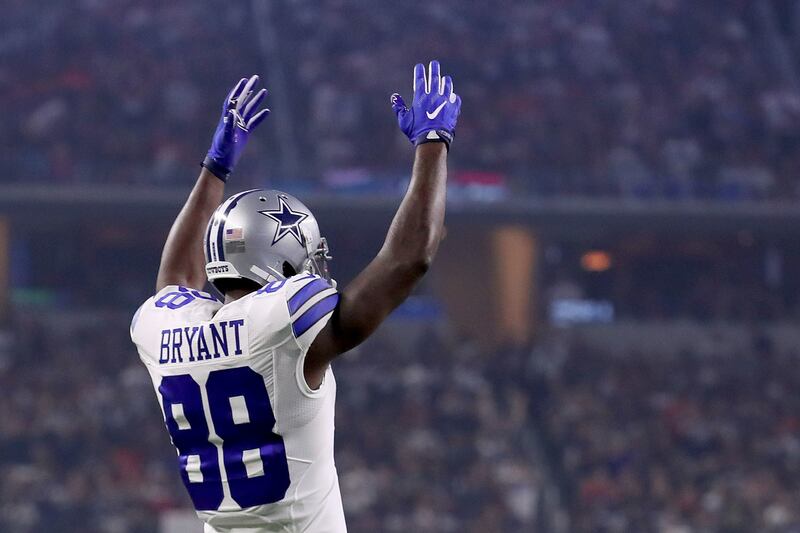 Cowboys Nation will always remember the moments of glory that Bryant provided. Likewise, we'll remember the lows. Heck, one of the saddest moments in franchise history took place in Dez' hands. A moment that became a rallying cry for fans all around the world. Dez Caught It. Personally, I think Dez meant a lot for every Cowboys fan, but even more for the young ones. As a young fan myself, I know what it's like to hear Michael Irvin and Drew Pearson stories and wonder what it was like watching them play. Dez is the best we've seen. Like many fans, I grew up watching him play. I saw "the new kid" become such a good and important player for the team. And just last season, I watched that same guy become the franchise leader in touchdown receptions. When a Cowboy scores a touchdown, we celebrate. But when it was Dez, the emotion and the excitement we felt when throwing up the X with him was something really unique. It will hurt seeing him in another uniform, but hopefully he finds success. I really wish he bounces back. And when he scores a touchdown, I'm pretty sure I'll throw up the X with him. I like to think most Cowboys fans will. Thank you for the memories, Dez. Cowboys Nation won't forget your dedication to the game, the team and the fans. Here at Inside The Star, we wish you all the best going forward. Tell me what you think about "Thank You for the Memories, Dez Bryant" in the comments below, or tweet me @MauNFL and let’s talk football! If you like football and are looking for a Dallas Cowboys show in Spanish, don’t miss my weekly Facebook Live! show, Primero Cowboys! Will Dez Bryant Make Cowboys’ Ring Of Honor?